Volvo has extended its three year, £100 service plan© offer for all Volvo S40 saloon and V50 Sportswagon models until the end of the year. For a one-off £100 investment the customer gets three years or 36,000 miles (37,500 for 2006 models) worth of servicing© - worth an average of approximately £800. Free Geartronic transmission, normally a £1,250 option, with five-cylinder, 170bhp, 2.4i petrol engine models. 2006 models: Including luxury 'Inscription' interiors and new 2.4D (163bhp) and D5 (185bhp) Euro 4 diesels. Every model offers a choice of Volvo's powerful, five-cylinder turbocharged petrol and diesel engines, including the new D5 turbodiesel with 185bhp. On the road prices start at £34,735, £30,593 and £27,648 for the XC90, XC70 and V70 respectively. 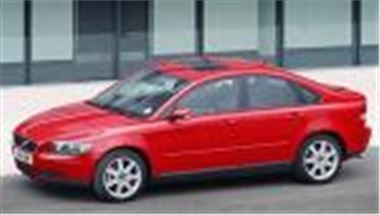 Affordable Finance: £1,000 deposit allowance for S60 saloon and V70 estate models. (10.9% TYPICAL APR). New Contract Hire rates for S60 and XC90. September delivery: Most models, including XC90, available for September delivery. Volvo's successful, nationwide ‘Freedom’ test drive programme has been extended©~ across August, September, October and November. It offers the convenience of having all the Volvo range available for unaccompanied test drives, alone or with family or friends, at one local venue. It is a great and relaxed way to test drive the latest Volvos, without having to visit a showroom. For full details of dates and venues, or to book a test drive, call 0800 400 430 or visit the ‘Freedom’ website at www.volvocars.co.uk/freedom. Volvo’s latest 2006 models are now arriving in showrooms, which apart from some enhanced specifications, stylish new colours and alloy wheels, also include new highlights such as luxury 'Inscription' interiors, real-time traffic monitoring information for satellite navigation systems, and an improved all wheel drive system with Instant Traction™. Possibly the most significant improvements are the two new diesel engines – the 2.4D (163bhp) and D5 (185bhp). Both diesels have extensively revised hardware and software for improved performance, refinement and flexibility, with service intervals extended from 12,500 to 18,000 miles. In addition, they are now fitted with diesel particulate filters, and are Euro IV compliant. The new D5, available in the S60, V70, XC70 and XC90, has a power increase of over 13 per cent, from 163bhp to 185bhp, and torque up from 340Nm to 400Nm. The new 2.4D engine, available in the S60 and V70, has similar power and torque (163bhp and 340Nm) to the previous D5 unit but is now smoother and with lower emissions. A £1,000 deposit allowance4 available on S60 and V70 models until 30 September, when financed by Volvo Car Finance, makes a new Volvo more affordable this summer (10.9% TYPICAL APR). Alternatively, business users and corporate customers can take advantage of a new Volvo Business Partner Contract Hire package5 for the XC90 with monthly rental from £449 (plus VAT), or the S60 from £299 rental per month (plus VAT).